Rebecca Chew joined Rajah & Tann in 1992 as a junior lawyer focusing on contentious court work. 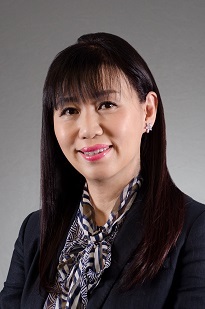 She has been practising in the firm from the time when it was considered a small firm to its current size today as the largest full service law firm in Singapore and South East Asia. She worked with some of the best and brightest legal minds in Singapore and gained much valuable insight and experience as a result. Just about 3 to 4 years after joining Rajah & Tann, Rebecca was offered partnership and this gave her a bigger role in managing relationships with the firm’s institutional clients which included many prominent financial institutions. This enabled her to gain even greater exposure in the arena of dispute resolution and offered her many opportunities to take on cases as lead counsel and to expand her area of practice. With her strong Chinese language ability, she is an integral part of the firm’s China Practice and is very much sought after by clients in handling disputes involving projects in Mainland China or businesses from Mainland China. In 2009, she was asked to take on a larger role in the management of the Firm in charge of its Human Resource in addition to her role as a senior litigator in the firm. Rebecca has been named by objective legal observers including Chambers Global, Chambers Asia-Pacific, and Client Choice International Guide as a leading lawyer. Hailed by interviewees for “her speed and knowledge”. Won plaudits for offering “immediate advice” and “staying on top of complicated files”. Sources also remarked on her Chinese language skills which prove “useful for documentation and correspondence”. Recently, she was given an individual award for Best in Dispute Resolution at the Euromoney Legal Media Group Asia Women in Business Law Awards 2017. Rebecca started as a junior lawyer who was given the responsibility for setting up and organising the system for the loan recovery work for financial institutions such as the Bank of China. From there, she actively advises local and foreign banks on many issues relating to their banking business. Much of her work involves managing and advising banking clients on their claims and disputes as well as various issues involving banker-customer relationship. For example, she has represented Bank of China in a reported case concerning paramount mortgagee’s rights. She was also part of the team that represented Skandinaviska Enskilda Banken AB in the high profile case against Asia Pacific Brewery Pte Ltd relating to the fraud perpetrated by Chia Teck Leng on the Brewery and the Bank. As a senior litigator in the firm, she is also responsible for ensuring the high quality of litigation service provided by the firm to its clients. In addition to banking/commercial litigation, Rebecca Chew has substantial experience in the area of disputes involving joint ventures and projects in Mainland China and entities from Mainland China. She is extremely conversant in Mandarin and has successfully represented PRC companies and banks in a number of high profile disputes. In a recent High Court trial in Singapore, she successfully represented a Mainland Chinese company to sue on a Chinese Court Judgment and obtain full recovery from the Judgment Debtor in Singapore. This is the first reported case of a Singapore Supreme Court recognising and enforcing a Chinese Court Judgment in Singapore. This decision has far-reaching implication not only in the Singapore context but for claims filed in Mainland China for recovery of sums due under a Singapore Court Judgment. Rebecca’s experience covers other areas of the law including disciplinary proceedings particularly for medical professionals and medical malpractice. She actively advises medical institutions and healthcare boards as well as patients in the area of medical ethics, malpractice and management. She is a Domain B member of the National Healthcare Group DSRB and has been actively involved in the ethical review of clinical trial protocols. As mentioned, she is particularly experienced in the area of public law and administration, medical ethics, disciplinary proceedings for professionals. Rebecca has represented a number of statutory boards including the Traditional Chinese Medicine Practitioners Board, Singapore Nursing Board, Singapore Pharmacy Council etc in disciplinary proceedings and in advising them on various issues involving administration of complaints etc. She has successfully represented the Traditional Chinese Medicine Practitioners Board in a number of notable landmark decisions. Tang Kin Hwa v. Traditional Chinese Medicine Practitioners’ Board  SGHC 153. Member of the National Healthcare Group’s DSRB Domain B Committee from 2004 up todate.